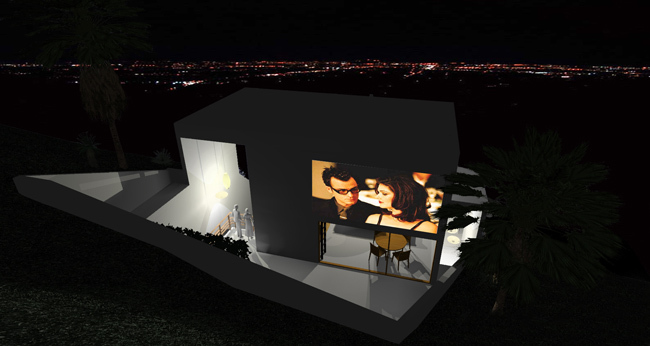 A private residence in the hills of the Mount Washington area of Los Angeles for a video artist and a new media artist. The house is designed as a composition of inter-related rectangular volumes that frame views out towards the city and horizon. 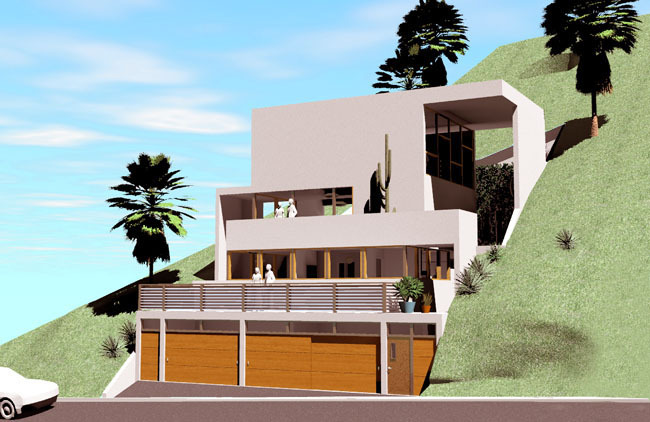 Functionally the house integrates studio workspace on the ground level, bedrooms on the second level and an open plan living room and kitchen on the third level with a small mezzanine office space above.